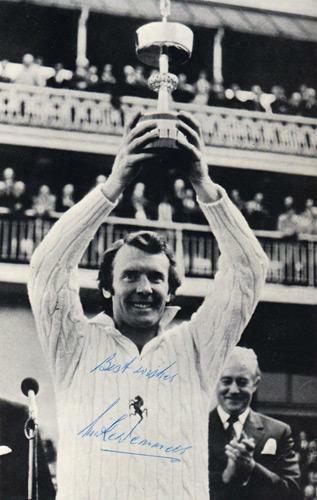 Signed B&W photo showing the Kent captain raising the 1974 Gillette Cup Trophy aloft after KCCC beat Lancashire CCC in a low-scoring, rain-affected final at Lord's. 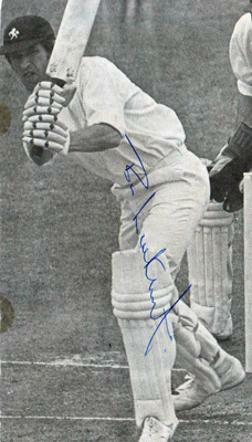 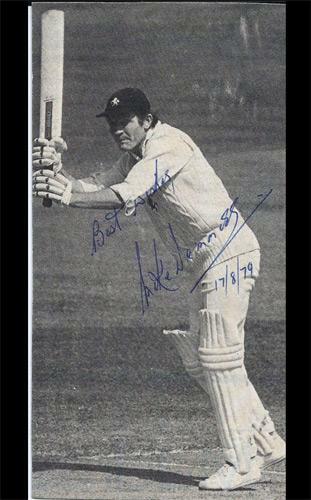 Signed B&W magazine action photo of him batting for Kent in the late 1970s. 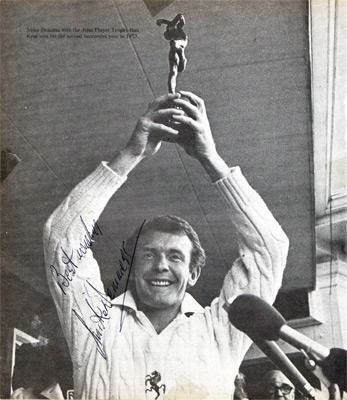 Signed B&W magazine photo of the Kent captain holding aloft the 1973 John Playing Sunday League Trophy. 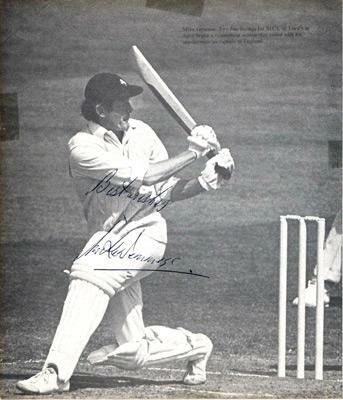 Signed B&W magazine photo of the Kent captain batting for his county in 1973. 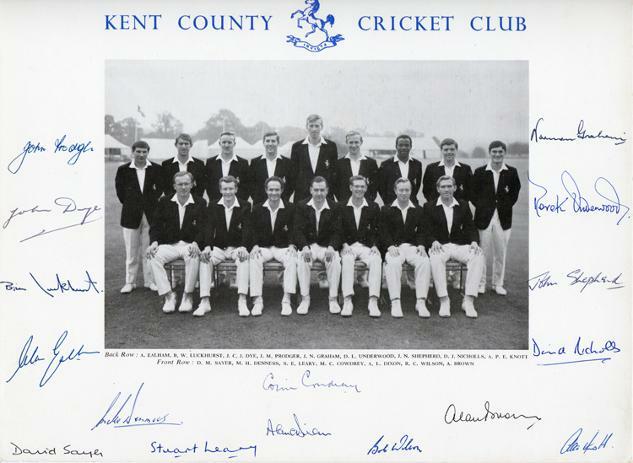 A celebration of 50 years with Kent & England cricket. 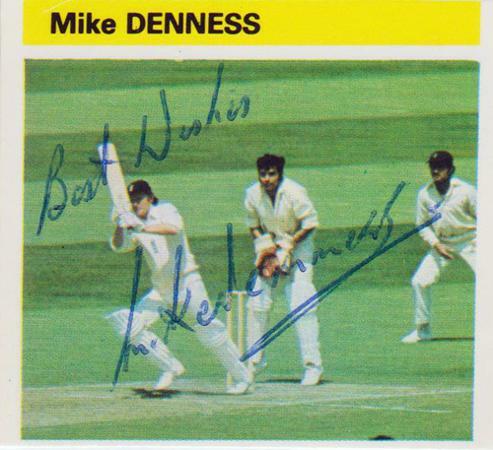 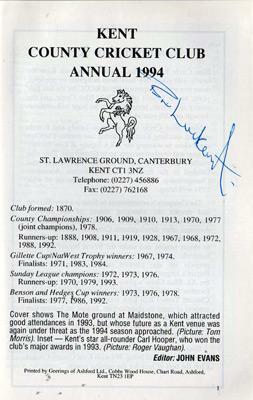 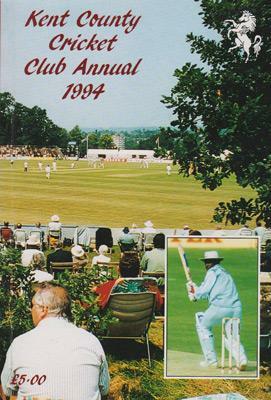 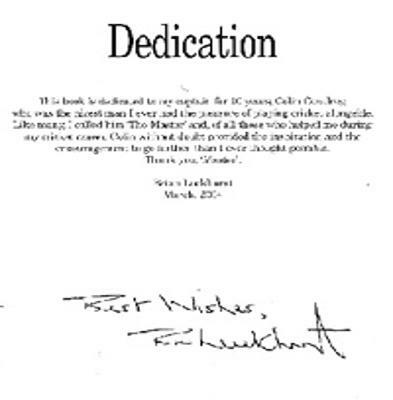 signed 1994 Kent County Cricket Club (KCCC) Annual. 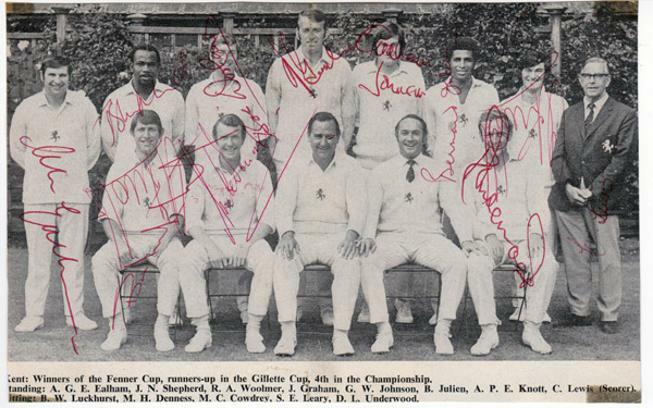 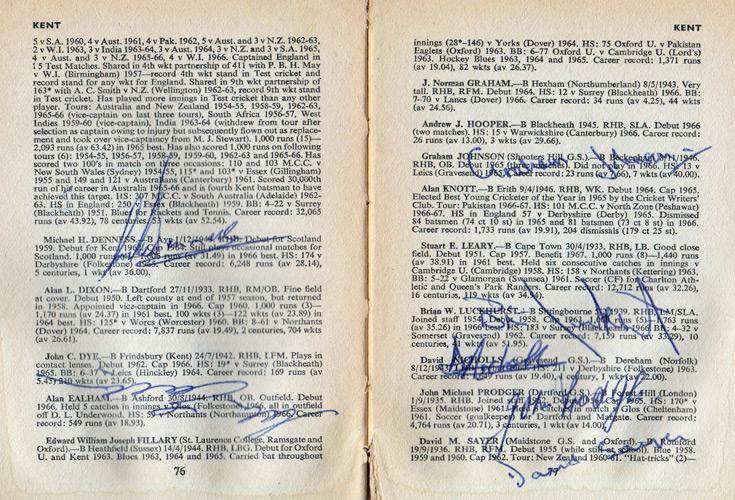 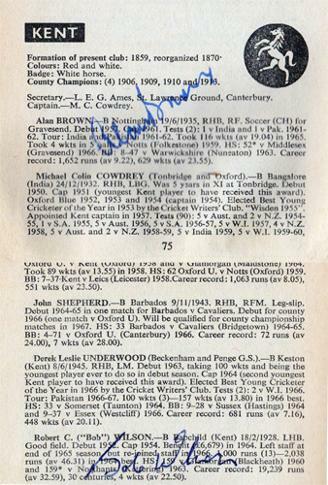 Kent Cricket memorabilia signed 1968 Playfair Cricket Annual player bios. 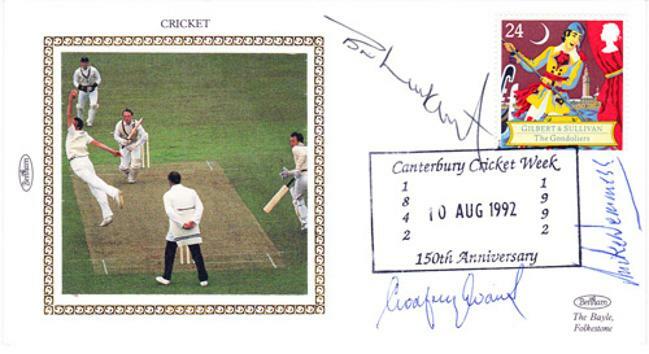 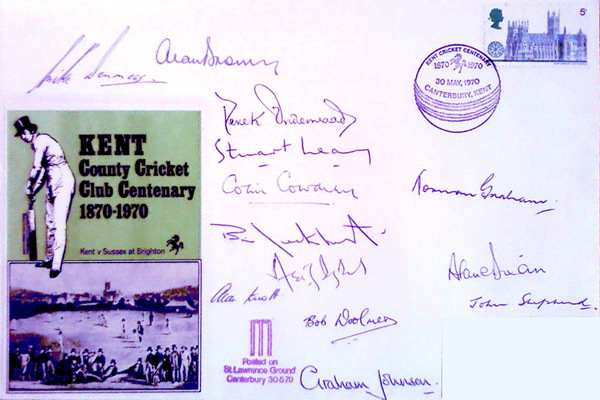 150th anniversary First Day Cover signed by Godfrey Evans, Mike Denness & Brian Luckhurst.